If you prefer a softer glow on your Christmas tree or holiday decorations, these opaque white bulbs will meet your decorating needs. When placed in your cord, purchased separately, string them across a mantle or use in outdoor lighting around your porch or outlining your sidewalk. For more warm accent lighting inside your home, lightly wrap these strings of lights around pine garland on a stair railing. 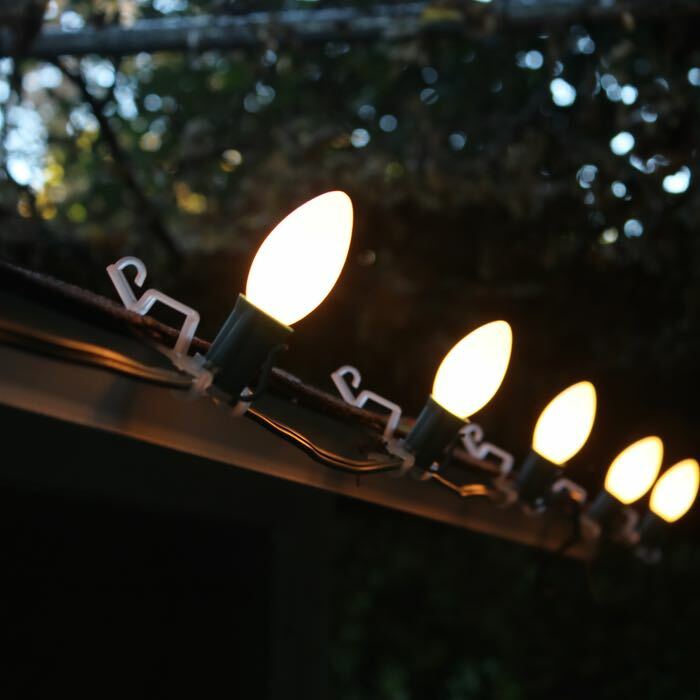 Hang these Christmas lights around gazebos and outdoor patios for a beautiful shine year-round. 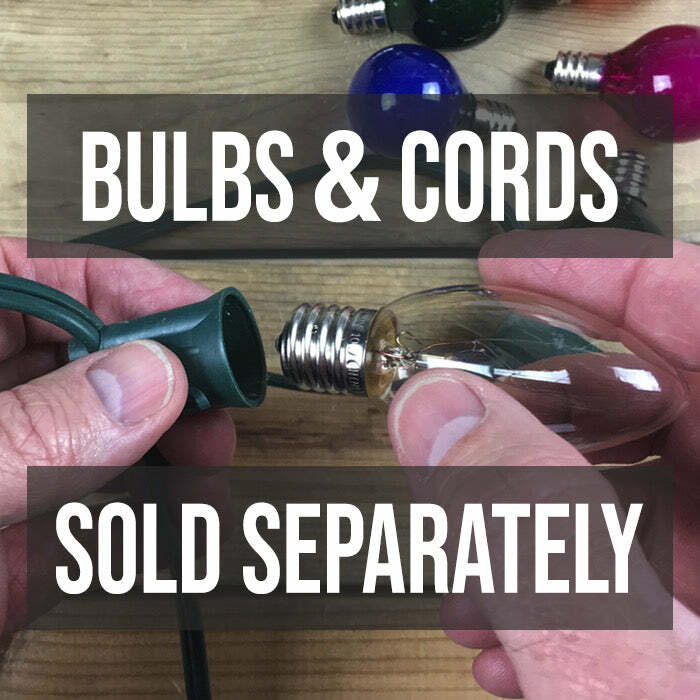 These bulbs, which are available in multiples of 25, are an excellent choice to bring back that childhood nostalgia on all your holiday applications. Excellent quality and exactly what I asked for. Exactly what I wanted. A nice glowing warm white light. Out of a total of 585 bulbs I am using this year, all bought at Christmas Light Source, only 2 bulbs were bad. That is amazing quality. Thank you. I recommend them to everyone. We got the lights quickly and they are perfect! i hope my budget allows me to buy more next year!